Generally, during the winter months of December and January, the northern hills and plains experience dense to very dense fog which results in disruption to common man’s day to day life. In fact, many other hard ships faced by people include accidents, zero visibility, flights and trains delayed. However, this season, fog has spared most parts of North India from its severity. Even though isolated pockets such as Amritsar in Punjab experienced dense fog occasionally, but still majority portions witnessed shallow to moderate fog only. Delhi: The national capital on an average records fog on 22 days. However, this season saw dense to very dense only 6 occasions. December 14, 15, 25, 26 were the days to report some thick fog, while so far in January, we have witnessed dense fog on 3,4, and 7. Amritsar: The Golden Temple city reports 24 days of fog in these twin months. 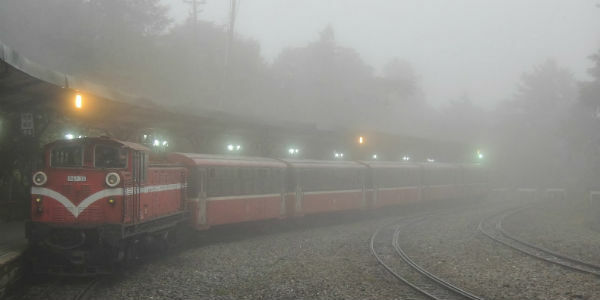 But again, the present ongoing winter season saw dense fog on 9 days only. While December saw fog on 23,24,25,27,28, and 31, January has seen on 1,2 and 3 till now. Lucknow: The state of Uttar Pradesh witnesses fog for 18 days. However, fog remained absolutely absent from the city during December. January also remained fog free. January 13 did manage to see some fog but that too of moderate intensity with visibility of 250 meters only. Patna: The eastern city usually witnesses 15 days of fog in December and January. But this season saw fog on mere two days in these two months i.e. on December 19 and January 5. Jaipur: The pink city on an average report fog only for 6 days but this season, Jaipur remained absolutely fog free. These figures indicate that dense to very dense fog remained far away from most places in North India this season. The reason for this can be attributed to the absence of any major weather system affecting the northern plains. Moreover, all the Western Disturbances and their induced systems have been mainly affecting the Western Himalayas. Now in the coming days, i.e. between January 20 and 24, widespread rain and snow is expected over Jammu and Kashmir, Himachal Pradesh and Uttarakhand on account of fresh and active Western Disturbance. The system would also induce a cyclonic circulation, which might give some rains over the plains of North India. Thus, the coming week starting right from January 20, will experience extended weather activities over the hills as well as the northern plains, again making it difficult for the formation of fog.